Our team consists of highly motivated, hard-working, experienced individuals who make Buffalo Wire the company that it is. We pride ourselves on putting the customer first. 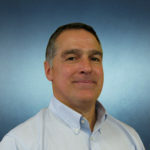 Joe is the Chief Executive Officer of Buffalo Wire Works and the first non-family member to hold this position in the company’s 147-year history. 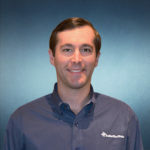 Previously, Joe served as Chief Operating Officer of the Eastman Machine Company, Director of Operations at the MIT startup Cutting Edge, Inc., Manager of Manufacturing at Raytheon’s Missile System Division and Manufacturing Engineer/Manufacturing Apprentice at General Electric’s Aircraft Engine Group. Joe holds a B.S. from Springfield College in Science and Computer Science (1981), a Graduate Certificate in Business Administration and Management from Harvard University (1990), and an M.B.A. from Salem State College (1997). Rick is the Chief Operating Officer for Buffalo Wire Works. 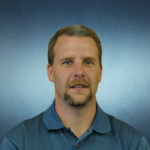 Rick has over 14 years of experience in manufacturing, operations management and engineering. He is currently responsible for all aspects of manufacturing operations at Buffalo Wire Works’ facilities. Rick holds a B.S. in Electrical Engineering from the State University of New York at Buffalo. George is the Chief Financial Officer for Buffalo Wire Works. George has over 35 years of experience in accounting for the manufacturing field, having previously worked in the medical device, glove, and wall covering industries. George received a B.S. in Accounting from Canisius College. Dominic is the Executive Vice President of Sales, directly focusing on global screening media sales. Dominic has over 18 years of combined construction and aggregate processing experience. 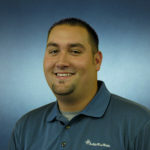 He has spent years specializing in screening media applications and optimization at Buffalo Wire Works. Dominic received a B.S. in Aerospace Engineering and an M.B.A. in Corporate Financial Management from the State University of New York at Buffalo. 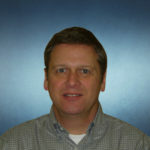 Erich has been Vice President of Engineering for Buffalo Wire Works since 2000. Prior to Buffalo Wire Works, he served as Vice President of Engineering at Eastman Machine Company. Erich holds a B.S. in Mechanical Engineering from Cornell University. T.J. is the Vice President of Sales. 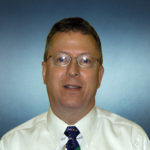 He has broad account experience throughout the Northeast and Midwest in both the aggregate and industrial markets. Previously, T.J. worked at Rich Products in the Credit and Account Services department. T.J. received a B.S. from State University of New York at Geneseo and has completed the Executive M.B.A. Program at the University of Buffalo. 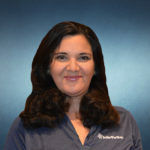 Veronica is the Vice President of Latin American Sales. Based in Buffalo, Veronica handles sales in Mexico, the Caribbean and Central and South America. Previously, she worked with several export companies in Mexico, Brazil and the United States. Veronica has a B.S. from the Technological Institute of Sonora (ITSON) and received her M.A. in International Studies at the University of Kansas. Max is the Vice President of Business Management at Buffalo Wire Works. Max previously spent several years at HSBC Bank graduating from their Graduate Management Development program and working in Business Management. Max received a B.A. in Economics and Mathematics from St. Lawrence University. Scott is the Director of Materials for Buffalo Wire Works. 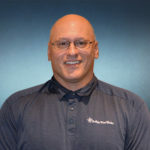 During his 11 years at Buffalo Wire, he has held various positions from manufacturing, shipping & handling, outside field sales, and inside sales. 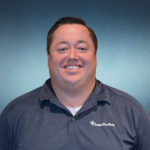 This progression throughout the company has made Scott a well-rounded employee, knowing multiple work streams of our operations, and allowing him to manage and service our clients with knowledge and expertise. Scott received an Associate Degree in Business Management as well as an Associate Degree in Accounting from Bryant & Stratton Business College.